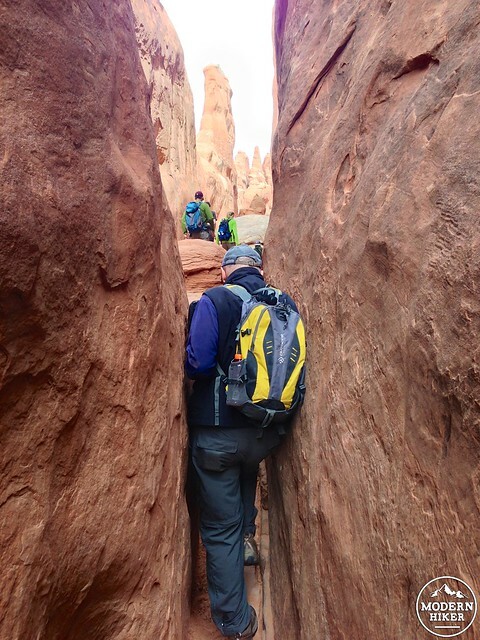 Just past the turn off for the iconic Delicate Arch is a bent and twisted labyrinth of sandstone fins called the Fiery Furnace. 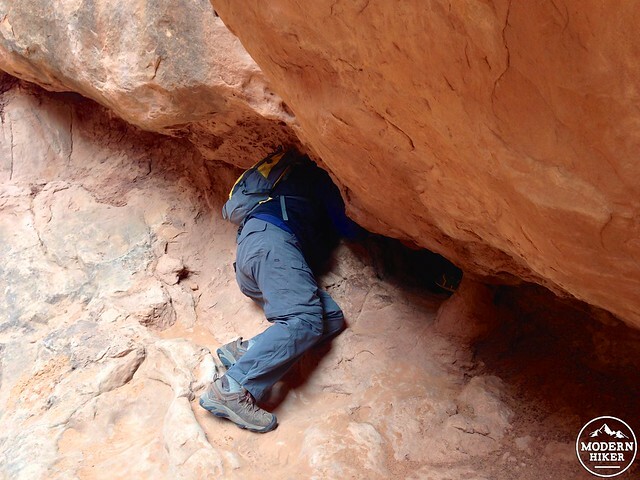 There are no trails, signs, or cairns inside the Furnace and GPS units don’t work well in the tall, narrow canyons. 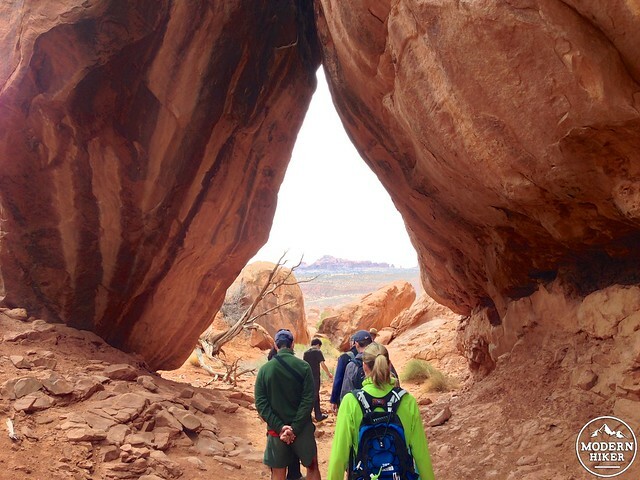 Due to the confusing nature of the landscape and the fragile ecosystems they contain, there are only two ways a person can legally enter this part of Arches – by picking up a Hiking Permit at the Visitor Center (after watching a required orientation video and proving you have navigation equipment and know how to use it) or by joining one of the ranger-led tours held twice a day, generally from March to October (although those dates may change). Additional off-season ranger-led tours may be available depending on the weather and can be purchased in person at the Visitor Center. First time visitors are strongly encouraged to join a ranger-led hike – and even more strongly encouraged to purchase their tickets well in advance of their visit. 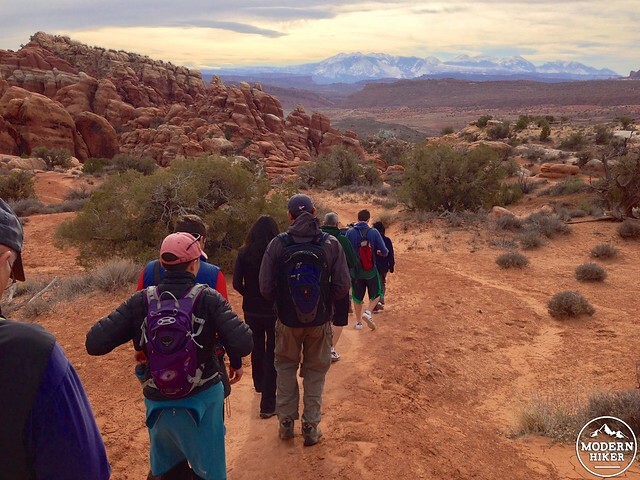 There are a limited number of spots on each hike and they tend to sell out quickly. 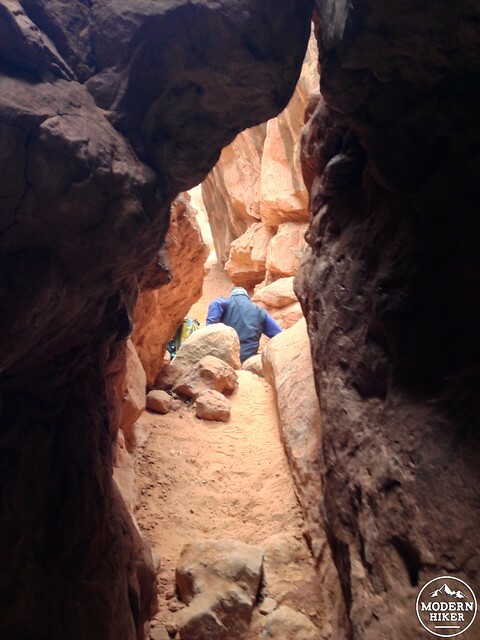 If you manage to snag a ticket, meet at the turn-out for the Fiery Furnace 10 minutes before your start time. A ranger will meet you with the group, give you an idea of what to expect on the hike and start the tour. You’ll get a good primer on the region’s geology and history – especially helpful if you plan to do more traveling around the Colorado Plateau – and then you’ll make your way inside the Furnace itself. While there aren’t any established or marked trails inside the Furnace, the rangers have mapped out a route for their guided hikes so in some places you can clearly see some of the stones have been worn down to an effective use-trail. 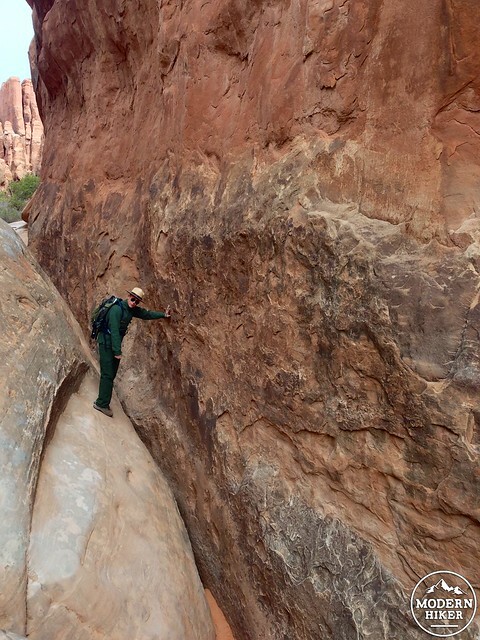 Right away, you’ll start the trek by scrambling up some boulders, walking through tall, narrow canyons, and ducking under low miniature arches. Throughout it all, the ranger will point out some of the more interesting rock formations along the way, including huge arches and bridges and eroded spots that will eventually become those huge arches and bridges. And small ones, too – like the aptly named Crawl-through Arch which, yes, you will crawl through. Since you’re touring the area with a ranger, you don’t really have to worry about paying attention to where you’re headed inside the Furnace. Instead, you can just enjoy the region’s otherworldly landscape up close and personal – since you’ll be squeezing through it, sliding down it, and hopping across big cracks in it. 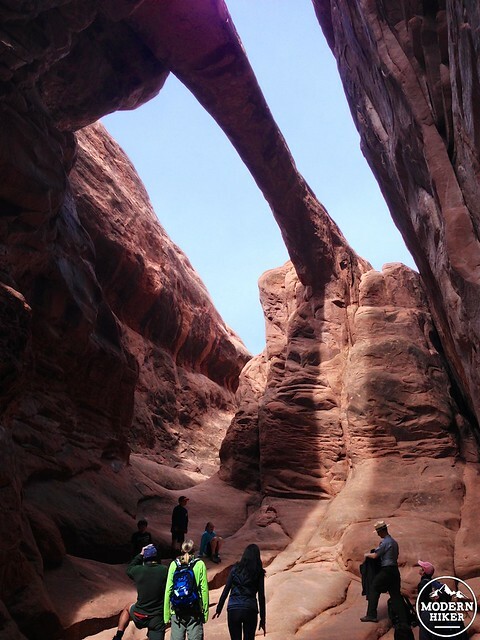 After one final squeeze through a narrow crack in the boulders, you’ll wrap up your tour in a huge, secluded amphitheater capped off with Surprise Arch overhead. 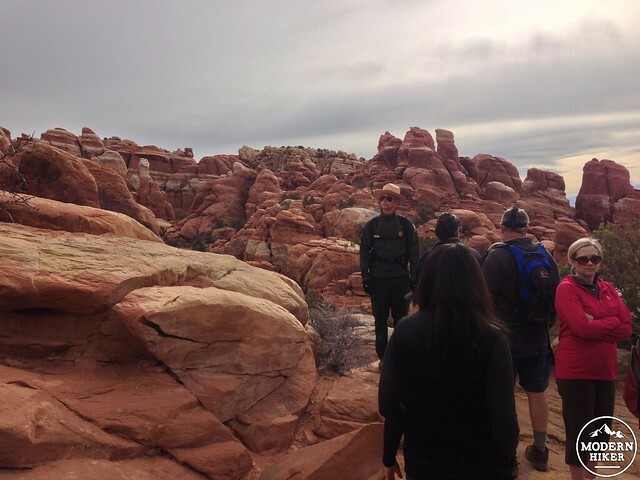 On my tour, the ranger led a final question and answer session inside the amphitheater and shared his very personal story about coming to Arches as a ranger. He then asked if anyone else in the group wanted to share their favorite National Park and most of us volunteered – it was pretty moving, actually, to be in such a unique place with people from all over the country who loved the Parks so much. 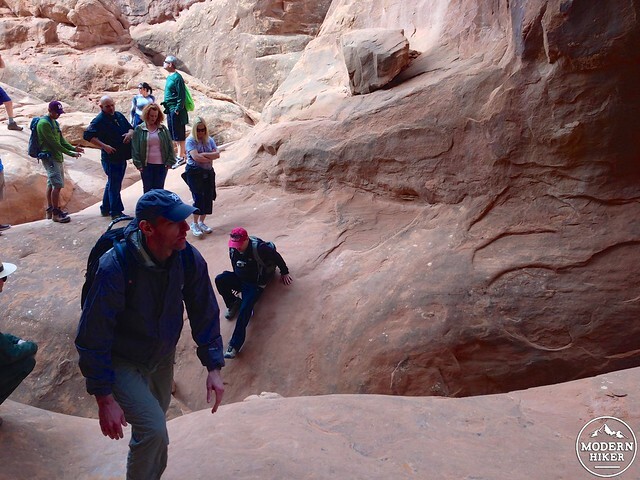 Afterward, the ranger will lead you out of the Fiery Furnace and back to the trailhead. Children under 5 are not allowed. Children 12 and under must be accompanied by an adult. Nonexistent. 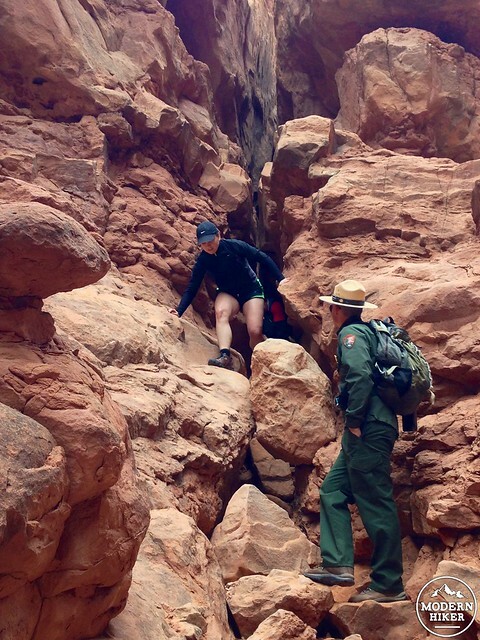 There are no established or use-trails in the Fiery Furnace region of Arches. 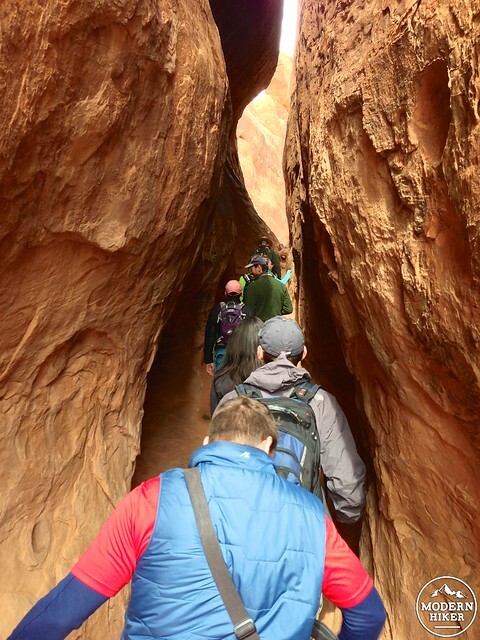 Visitors must be accompanied by a ranger or watch an orientation video and show they have maps and navigation equipment at the Visitor Center before entering the Fiery Furnace. GPS units do not work well in this area. Arches National Park only has one campground - Devil's Garden - which is almost always booked to capacity during the busy season (March-October). 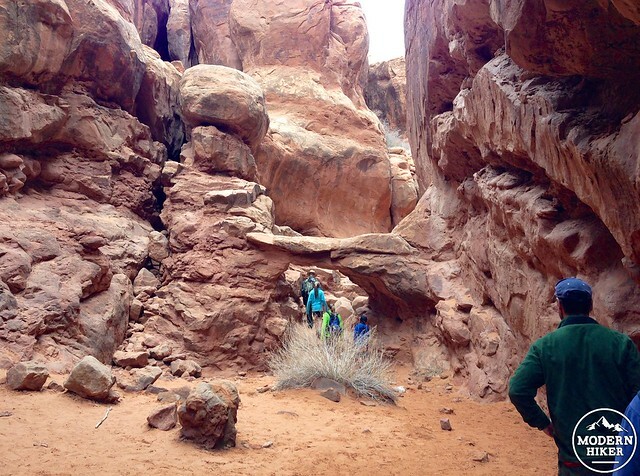 Reserve well in advance of your trip or consider some of the many BLM and privately-owned camp sites near Moab. From Moab, head north on US-191 to Arches Entrance Road. Turn right and stop at the Visitor Center in 0.8 miles to pick up your permit or ticket for the ranger led hike. 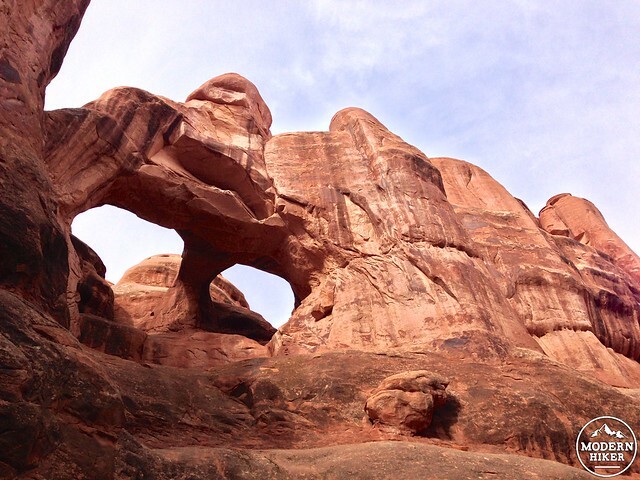 Continue for 14 miles on Arches Scenic Drive and turn right at the signed viewpoint for the Fiery Furnace. Park your car and display your permit - and make sure to carry one on your person as well. i would love to know the name of the arches in photo 12. I have done this hike and LOVED it and am going through my photos now. I just can't remember, or find, the name of that one. Thanks if you can help. For those looking for whether or not to do this one - DO IT! We went with a guide and with our 9 and 12 year olds and all had a great time. The kids even got to do some scrambles the adult sized people couldn't do. I concur with Mcdep. We are about 20 years younger, and found this hike hard. It was a quite an adventure. We did not go with a ranger as we went in February 2018.. no ranger hikes until April I believe. I think was got up to the 6th or 7th arrow, then turned around. We couldn't figure out where to go at that point. 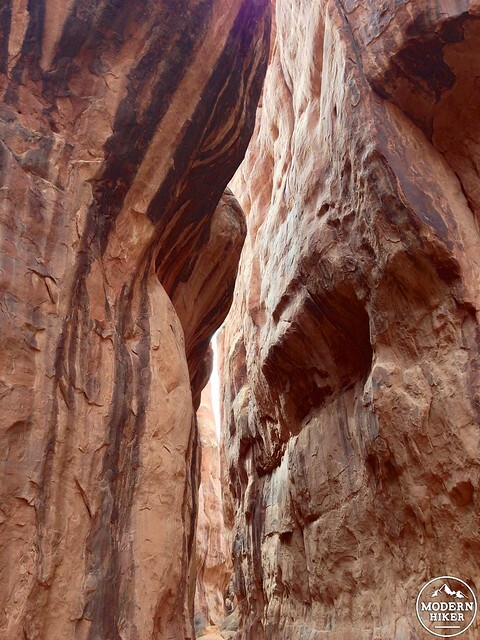 There was a very thin canyon like squeeze in that area.. but that was too narrow for us to squeeze through. Not sure we saw that crawl through arch- wonder if that is before that 6th/7th arrow where we turned around. Sounds like after that spot, it would have been easier if would could have just found our way through! It took about 2.5 hours to that turn around point for us as we took the detours, but only about 30-45 minutes to backtrack and get out (without detours). 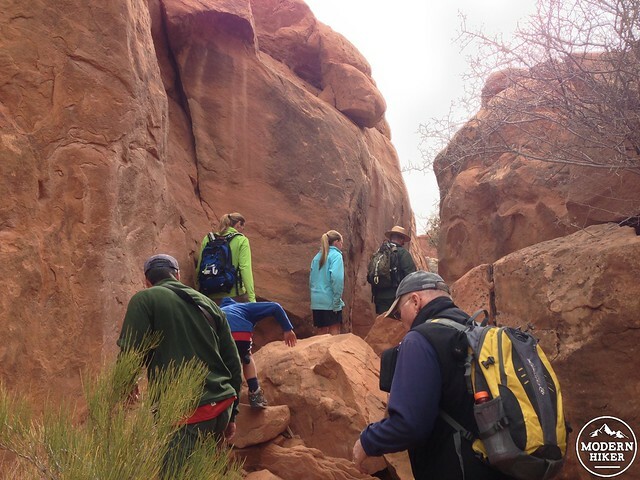 I just finished a hike through the fiery furnace without a guide. We were a group of four 65 year olds. It was a hard hike overall. I strongly believe the park system needed to provide more arrows to show the route. Arrows were not easy to find so we were constantly looking for route. We traveled down canyons that were dead ends and dangerous. But because the route was hard and unbelievable dangerous you believed it was just more the same.. Finally u give up and backtracked hoping to find that tiny arrow hidden on a rock. Overall it was exhilarating and made u happy when you achieved this trail. It took us 3 hours. I strongly urge the park to mark the trail better.